When Google announced that HTTPS (HTTP protocol oder SSL) is a ranking signal, many people in and outside the SEO industry where amazed. Google explained it’s step mainly as a high priority regarding security. HTTPS shall be everywhere. This signal from Google will enforce all websites towards switching to HTTPS. Of course not all websites, but every website that wants to have better rankings. We heard about the Open SSL problems and Heartbleed. This might not be the last severe security problem with HTTPS. And it is possible that SSL and other internet security technologies have already been compromised by the NSA. Big companies like Google should try to invent something new and more secure instead of forcing many websites to use SSL. Next, there are many reasons why HTTPS is not needed, even for websites that want to have better rankings. There are many, many websites out there with worthy information and true value for the users. HTTPS does not tell you anything about the information or the value of a page on a website. Additionally, an SSL certificate that is needed for HTTPS costs money. We must add here that SSL encryption will also make every website using it a little bit slower. Since speed matters, and Google invented this claim, this decision is to some degree against their own proposition. Update: As SEO by the SEA reported, Google acquired a patent for speeding up SSL connection. Google is aware of that, but the risk, that faster SSL connections rely on a Google patent could also be alarming. The absolute market share can be seen in green. Symantec is the leading authority in that market. In the last years Symantec bought several certificate authorities like Thawte (2000), Verisign (2010), and GeoTrust (2010) which also owns RapidSSL. In 2011 Symantec stated that they control more than 70% of the SSL certificates of the world’s top 1,000 domains. This means that Symantec is dominating the SSL market and especially for bigger websites. 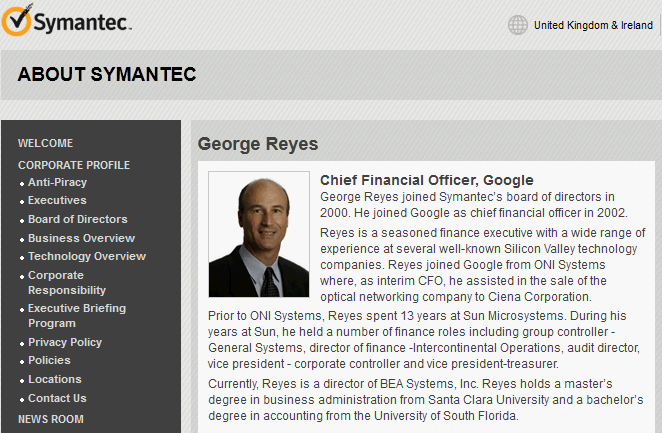 In 2002 Symantec’s board member George Reyes became Google’s CFO until 2007. In 2013 Symantec’s SSL product evangelist Jeff Barto talked with Stephen McHenry from Google about SSL. In the past, Symantec stated that SSL and SEO work very well together. For a long time in the SEO industry, many people thought that mixing HTTP and HTTPS on one website could be a problem. Also encrypting a complete website with HTTPS was something that SEO experts where not sure if it could hurt rankings. In this forum post a Symantec employee explains that using SSL doesn’t have a negative impact on SEO. With HTTPS as a ranking signal, nobody in the SEO industry will have any more doubts about SSL. The biggest winner is the certificate authorities industry, which mainly means Symantec. As Google and Symantec have a long traditional relationship, we must ask the question if the decision to give SSL a ranking boost was mainly decided for security reasons. SSL makes sense, no question. For many websites. And this post is speculation. But to me, SSL as a ranking signal is a strategic decision and not a comprehensible decision in the SEO business. Thomas Kaiser, founder and CEO of Forecheck LLC and cyberpromote GmbH, launched his first company at 23. He developed the first MPEG-2 video coder for Windows at the Technical University of Munich. In 1997 he invented “RankIt! !”, the first SEO software program in Germany. He has also written several books and is a sought-after speaker at SEO conferences and events. He loves playing guitar, enjoys his 5 kids and has drunk SEO milk since birth. You can write him at thomas /at/ forecheck.com. Let’s be honest, how often does Google openly come out and say “Hey guys, this is a ranking signal by the way”? Matt Cutts spends half his time trying to convince us that SEO doesn’t really exist and all we need to concentrate on is ‘awesome content’. It seems likely there is some kind of agenda if Google are being so overt about this one thing. Love a good conspiracy theory. Nice article. Comodo SSL is the best option. 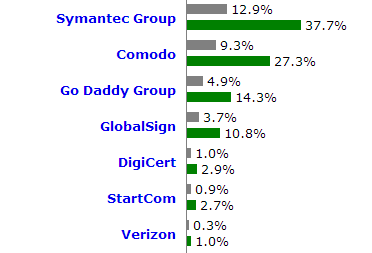 Comodo SSLs are cheap in price compared with other SSL brands such as Symantec, Godaddy, Digicert. Last week i’ve turned my website into HTTPS using Comodo postiveSSL at only $3.25 from here http://goo.gl/yvdVr0. Comodo SSLs are really matter for price. So if one is care about price then he must by Comodo SSL Certificate. This is quite a turnaround to the story. What I would like to see that something from “Yang/Bihoo”.. what’s their agenda? Another thing, is this the starting of a whole new scenario for WWW? I mean may be soon, opting IPv6 address will become a necessity for every website.. who knows? “Symoogle” and “Goomantec”.. nice to read!